When you close your eyes at night all you can think about is Redstone? Good, you have come to the right place. We too have become addicted to the power of Redstone and have made it even more powerful. Giving Redstone all those detectors, manipulators, and cool machines it always needed. Is this a Redpower Clone? No, most of our content doesn't cover the main aspects of Redpower or its look a likes. For example, we don't add flat wires, elevated wires, or even gates. Instead, the mod mainly adds devices to detect what is going on in the world. Do you support Open Comptuers? Yes, all of our blocks come with OC drivers so they can be connected using a driver block. It is not perfect but does allow for more data manipulation from our blocks. If you don't want to use a driver block you can just use normal Redstone connections. Which will give you basic data from the block based on the signal strength. Entity Detector - can detect entities based on a pre-defined set of types. Can be configured to aim a set area and range. Upgraded versions allow more control over how the detection works. Selection Detector - advanced version of the entity detector that can restrict its area of detection. Chat Block - sends a chat message to every player around a target location. Can be configured with a custom message, range, and focus point. Chat Detector - detects chat messages based on 4 different match methods (contains, starts with, ends with, and regex). Comes with the option to even hide the chat message and detect for username if you want to use it for a password door. 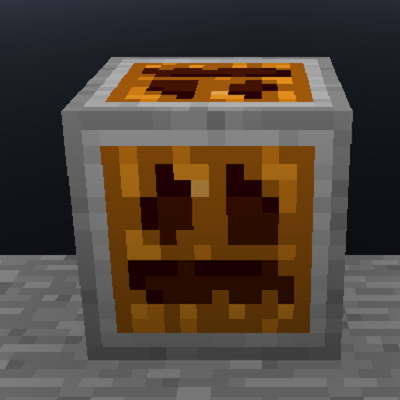 Sound Block - emits sound effects that are supported by Minecraft. Comes pre-coded with every sound effect Minecraft has by default. Can also support modded sound effects if you know the name of the effect.